Casa Fragola is an old renovated stone house located in a quiet village Pršurići distant only 6 km from the picturesque Višnjan and 12 km from the tourist resort Porec and its beaches. The house was built 1930 and was fully renovated in 2011. In the reconstruction of the house were used purely traditional materials which gave this house its authenticity with a touch of tradition, combined with high comfort of a rural house. 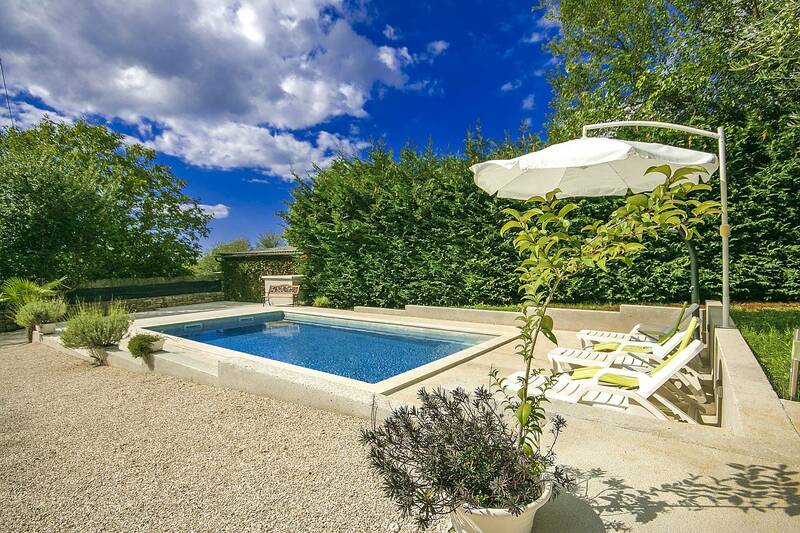 It is situated on an enclosed garden of about 800 sqm with well-maintained lawn where is also located the owner's house. 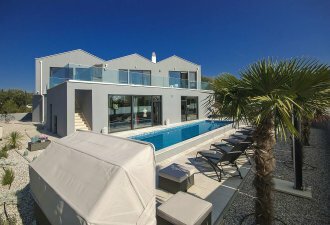 The guests have exclusive access to a private, 32 sqm large swimming pool with sun loungers, terrace with barbecue, table and chairs for dining and friendly gathering and a parking for 2 cars. Stone staircase and a small covered terrace connects this house with the owners’ house who have their own separate entrance which provides the guests complete privacy. House for 4-6 persons with a total living area of approximately 65 sqm situated on two floors. At the ground floor there is a tastefully decorated living area with fully equipped kitchen, dining table, sitting area with two persons sleeping couch and a shower/toilet. The living room has access to the terrace with wooden table where the guests can enjoy in the smell and taste of the grapes " Fragola " which is covering the terrace. At the first floor, which is accessible from the small internal and external stone staircase, there are two double bedrooms from which one is with a double bed and one with two separate beds, shower/toilet in the hall.